Try ActiFry for healthy and flavourful fried foods – and with 2in1, cook a complete meal in one go! 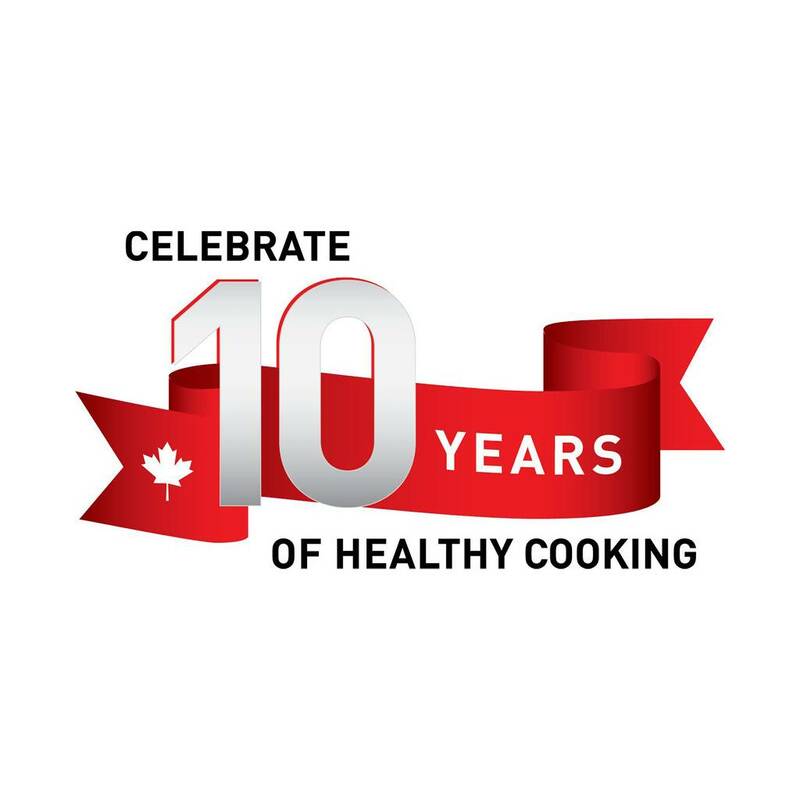 Now Canada’s #1 low-oil fryer can cook two dishes at once, still with only one spoonful of your favourite oil. Cook up to 1.5 kg of hot and crispy fries in the pan, while the tray above uses the same Dual Motion Technology to serve up a sizzling chicken fried steak. Save time and energy – the ActiFry 2in1 is a revolution in the kitchen! The best of ActiFry, with more possibilities! 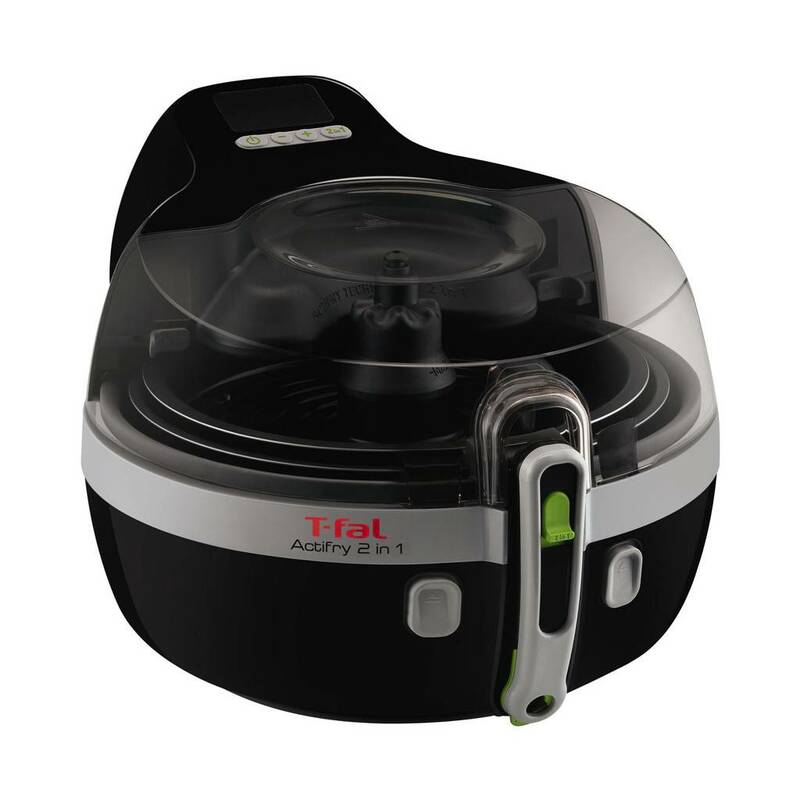 The Actifry 2in1 can cook a wide variety of food from fresh and frozen using little to no oil. With the 2in1, you can cook two meals at once, such as succulent chicken drumsticks on the top, and stir-fried vegetables on the bottom! Only 1 spoon of oil for 1.5 kg of crispy fries. The unique 2in1 Actifry allows you to cook two healthy and delicious meals at the same time. Cook two meals at the same time: chicken, steak, fish and sausages in the top tray; while simultaneously cooking french fries or stir-fried vegetables in the bottom. Allows to cook with any type of healthy oils. Food capacity: 1.5 Kg + additional meals in top tray. Easy to read display with special 2in1 program. Automatic stirring paddle gently mixes the food for you. Digital timer and automatic shut-off. Preset times for cooking steak, poultry, fish and desserts. Viewing window for easy supervision of preparations. ActiFry two complete meals at once in the separate cooking area. Fish and chips, anyone? Dishwasher safe (lid, paddle, pan and top tray), removable parts. 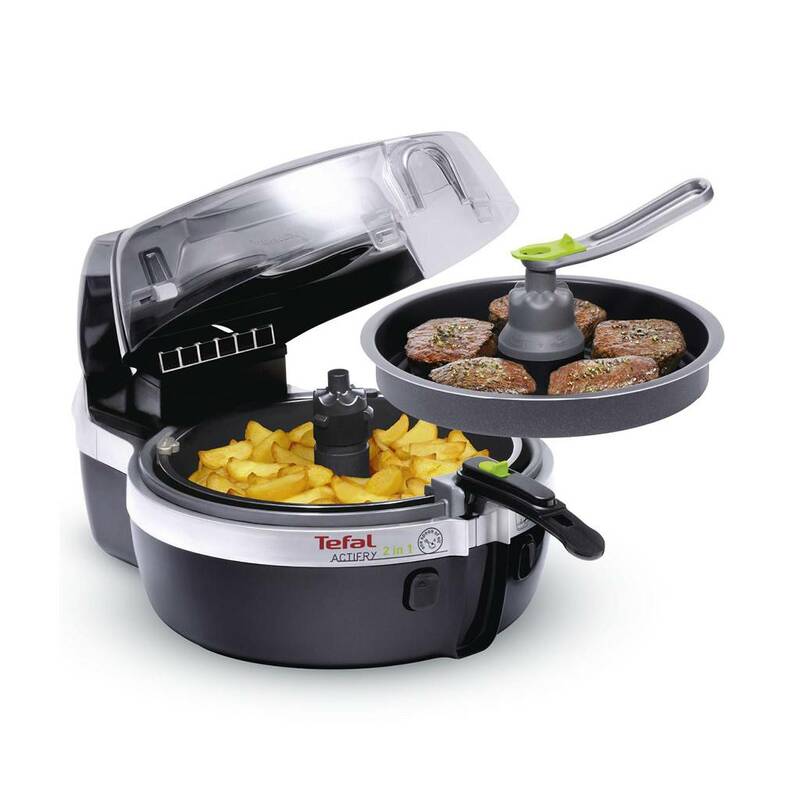 ActiFry 2in1 can cook an entire tasty meal for up to six people! Easily manage your meal with pre-set options for steaks, poultry, fish and desserts. 2 cooking zones, to prepare complete tasty & balanced meals with 1 spoon of oil. 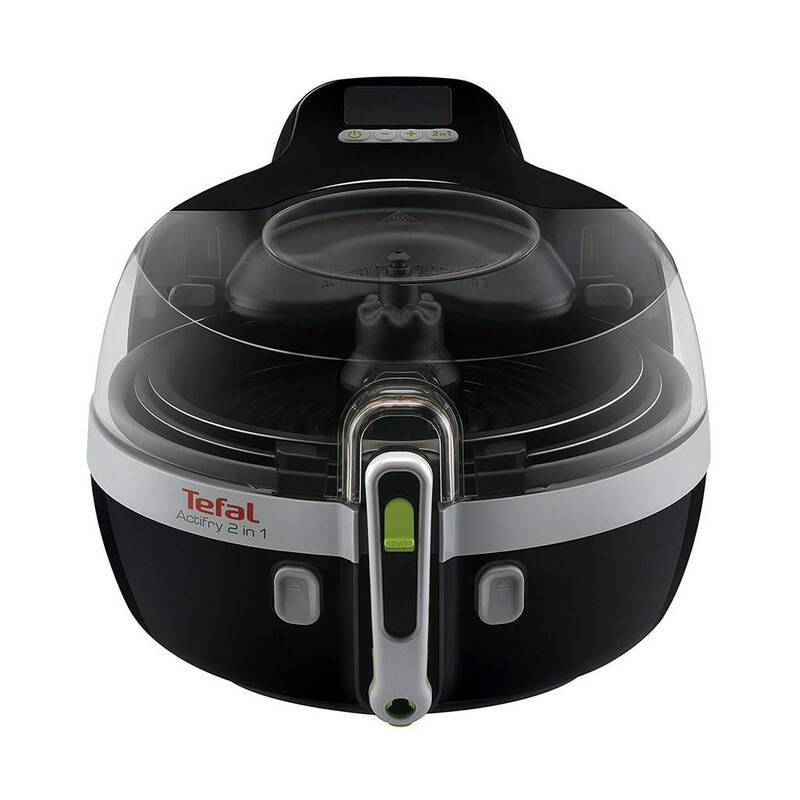 Patented stirring paddle and constant hot airflow ensures the food is cooked fast and evenly.